Take one capsule each day between meals. Store in a dry place at 73'F (23'C) or below. Best if refrigerated. Keep out of reach of children. Consult your physician before using this or any product if you are pregnant, nursing, trying to conceive, taking medication or have a medical condition. Tamper evident: do not use if safety seal is broken or missing. Bifidobacteria are the most prevalent type of good bacteria in a healthy colon (or large intestine). 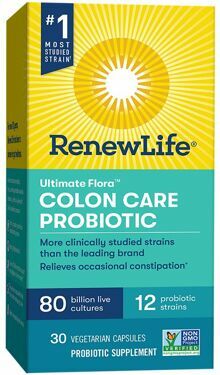 They play a vital role in promoting digestive health, regularity and immunity. In middle age, our level of Bifidobacteria declines. This has been linked to increased digestive disorders and a decline in overall health. 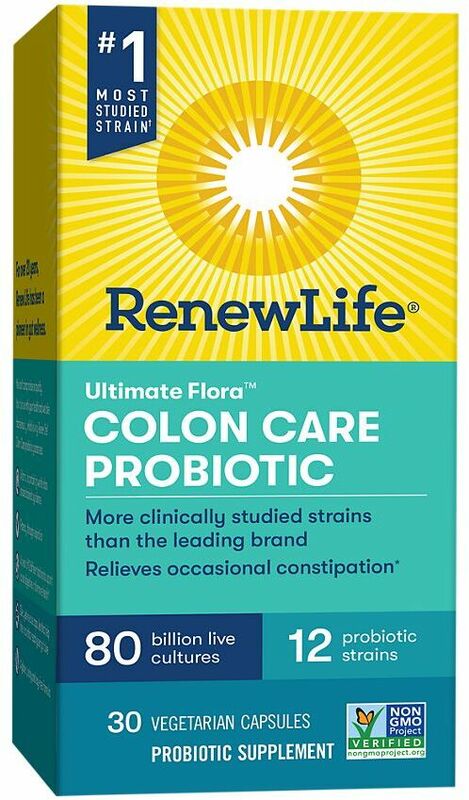 Ultimate Flora Critical Colon 80 Billion contains 52 billion bifidobacteria to replenish healthy flora and help relieve occasional irritable bowel, diarrhea, constipation and digestive discomfort. Contains no yeast, wheat, corn, salt, binders, fillers or artificial ingredients. This product may contain mild traces of milk and soy proteins from fermentation ingredients.